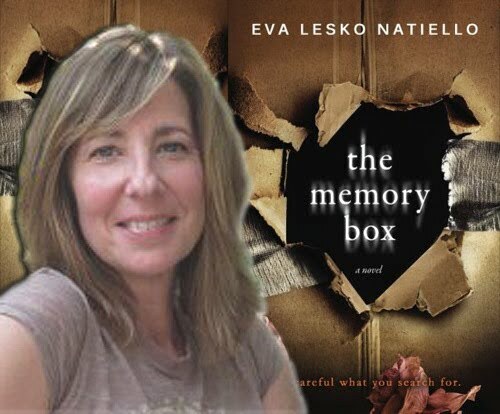 Today we have the pleasure of meeting up with author Eva Lesko Natiello to talk about The Memory Box (25 June 2014, Eva Lesko Natiello, 358 pages), A Psychological Thriller. Hello Eva, welcome to BooksChatter. What was the inspiration for The Memory Box? "The impetus for THE MEMORY BOX came from an article featured in The New York Times about people who Google themselves. It mentioned that a 17-year-old boy who was living in Los Angeles, Googled himself and discovered he was on a missing persons list in Canada. He had no idea until he Googled himself, that he was a victim of parental abduction. The fact that someone could find out something so personal about himself, that was previously unknown, from a Google search was a fascinating concept to me." Understandable. In fact I believe I have found the article you were referring to and it is very interesting: In Searching We Trust, by David Hochman, Published: March 14, 2004, The New York Times. "Well, first of all the suburban setting of Farhaven, is loosely based on the New Jersey town I live in. I’ve always been intrigued by stories which are set in beautiful, privileged places which juxtapose a dark, subversive storyline. The Stepford Wives introduced me to this idea. It provides the first misconception to the reader, that only upstanding people could live in a place like this. When I started to write The Memory Box, I was relatively new to the suburbs. I had just moved to New Jersey from New York City. It presented an instant learning curve. With my young children starting school, I was plopped into a new social circle of suburban moms. There is a definite way things are done in the suburbs that’s different from the way they’re down the city. I knew instantly that I wanted to set this psychological suspense in a community of stay-at-home moms, a sub-culture all its own, to help highlight the juxtaposition of conformity and deception. I do have one other similarity to Caroline, I hide chocolate in my house!" The first thing that draws me to a book is its cover. Can you tell us about your cover for The Memory Box - why you chose that concept and who the artist is. "I was quite torn about the direction for the cover art. At first, I was sure I didn't want a face on the cover. I much prefer to allow readers to stick to the visual they create in their own mind. And I wanted the mood of a psychological thriller. But the book has crossover appeal and people who normally don't seek out thrillers, were hooked on it. Those readers prefer faces and "lighter" covers. I didn't want to miss the opportunity to reach them. But in the end I stuck with my gut. Most people think of a "memory box" as a beautiful keepsake box, maybe it's wooden and painted or quilted in velvet. Often the box itself is a keepsake. But, the one in THE MEMORY BOX is quite different. It's a large cardboard packing box. It's old, roughed up, very full, quite heavy, though I'm not at liberty to say what's inside. The title font is a bit fuzzy, much like memories are apt to become." Why should we read The Memory Box and what sets it apart from the rest? What makes your book unique? "The reasons you would read this book are: you enjoy a fast-paced page turner with twists and turns and a shocking ending. You like to read books that are just as absurd as they are relatable, you like to see yourself in a story, or your lifestyle or you recognize the characters because they could be friends of yours. You like to be taken on a wild ride, feel uncomfortable, or talk about the book to someone who’s read it as soon as you’re finished." Can you tell us something quirky about The Memory Box, its story and characters? "I love this question! Okay, here are some little known facts about the writing of THE MEMORY BOX. 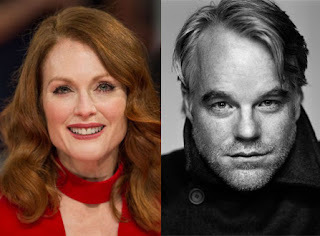 I had two muses: the muse for Caroline was Julianne Moore and the muse for Dr. Sullivan was Philip Seymour Hoffman. When I started writing the book the story came fast and furious. I had never experienced anything like it. I was so afraid to slow my writing down to name the characters or the streets/schools/towns so during dinner my children (who were in grade school at the time) would bring a pad and pencil to the table and their school directory. I would tell them about the new characters I had introduced that day and they would pore over the school directory to come up with name combinations. So my kids named the characters! I have never eaten a Sno Ball. And I had never Googled my own name until a couple of years after the book was written." Who would you recommend The Memory Box to and what should readers be aware of (any warnings or disclaimers)? “This book should come with a warning like you see at the scariest ride at the amusement park. “My heart raced the entire time.” "
If you could / wished to turn The Memory Box into a movie, who would be your dream team? "I love to hear what readers think about this question. My original choice for Caroline was Julianne Moore and for Dr. Sullivan, Philip Seymour Hoffman." "I think exploring the psyche is infinitely fascinating. I love exploring the concepts of misconception and how destructive it can be. I also like exploring the themes of control (okay, radically unhealthy levels of control…) identity, and if “good” people can be “bad”, and if “bad” people can be “good”. Apart from writing dark psychological thrillers, I love to write humor. That’s usually surprising to people! Though I write humor mostly in the short form, I hope to one day tackle a screenplay idea I have. By the way, I do not like to read thrillers because I am a big chicken!" "When I first started writing The Memory Box my kids were young, and it was almost impossible to find time to write. So I got used to carrying a notebook around everywhere I went. You know, a lot can be done if you take advantage of little snippets of time. It adds up. It's a much better idea to wring out minutes from your day to do one or two sentences or paragraphs than to wait for a good time to write a book. DO NOT WAIT FOR A GOOD TIME TO WRITE A BOOK. (Was that too loud?) I write in the am and the pm, while driving (at red lights), at ballet rehearsals and basketball practices, while cooking, and of course while sleeping! That's when some of my best thoughts come, so the notebook is always on my nightstand. I did utilize an outline very late in the game, when I had to keep track of the sequence of things. When you write suspense and there are plot twists, it’s important to stay organized with timing especially. I actually drew up many versions of calendars for September 2006 and October 2006, the two months during which most of the book takes place. I also have many sketches of the floor plan of Caroline’s house. It’s very important to note that if a character walks down a hall from the den and made a right into the kitchen in Chapter 3, that she doesn’t walk down the hall from the den and make a left into the kitchen in Chapter 7. Most readers are very visual. Even if they don’t realize it, they see the book unfold as if it were a movie. They would pick up on a wrong turn in a heartbeat." I often wish maps were available, especially for complex urban settings. "I have started another dark twisty psychological read and hope to get back to spending some quality time writing it. But I am busy trying to get every book club in the world reading The Memory Box. As for a sequel, many readers have asked for one, and even though I had never planned to write one, I will consider contemplating it – how’s that for open ended!" "My kids are very special to me! Here we are together at a book signing." Lovely picture :-) Thank you for sharing it with us. The Memory Box - available NOW!